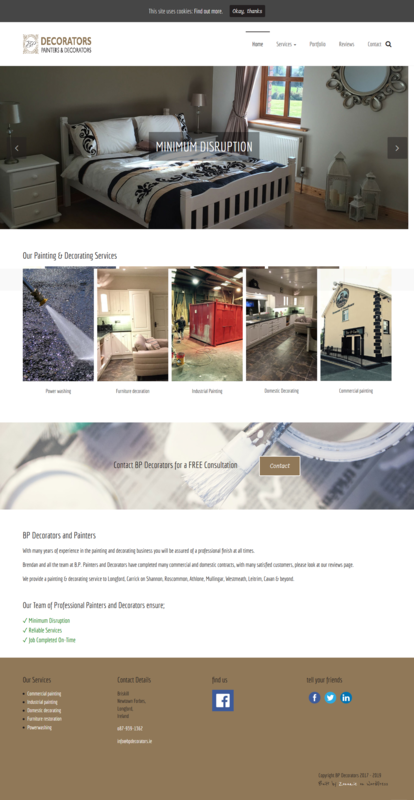 BP Painters and Decorators is a painting and decorating company situated in County Longford. They offer a range of services as commercial and industrial painting, domestic decorating, furniture restoration and power washing. This professional company had been in the local business of painting for many years and needed to expand its image and good reputation on the Internet. In order to get their first website done, they contacted Zonua in 2017. We built the website from scratch using WordPress and brought into several fancy plugins that make their website unique and great which complement with the good work they have done and all the high-quality testimonials they have got for many years.